Stew is due to arrive here on the Monday 3rd September. 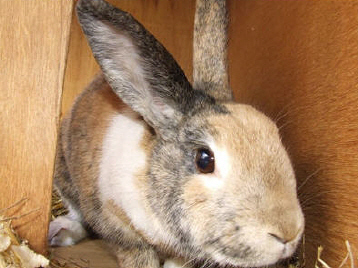 He is a neutered Harlequin cross Dutch male, who is 6 years old. He’s apparently inquisitive and very cheeky and always looking for a way out of wherever he is! He has become more and more affectionate as he has got older and loves to held and stroked.